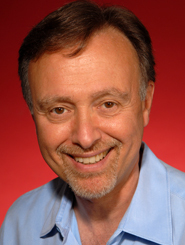 D'Emilio is one of the top U.S. historians on the gay movement, with multiple articles and books on LGBT history. D’Emilio has also done public policy work, including with the National Gay and Lesbian Task Force (NGLTF). D'Emilio is a professor in the Gender and Women’s Studies Program, Department of History, at the University of Illinois at Chicago. He has extensive program and research experience. He served as the Founding Director of the Policy Institute at the National Gay and Lesbian Task Force. He is the author of several publications, including Lost Prophet: Bayard Rustin and the Quest for Peace and Justice in America (The Free Press, 2003), which won the Stonewall Book Award for non-fiction in 2004; The World Turned: Essays on Gay History, Politics, and Culture (Duke University Press, 2002); Creating Change: Sexuality, Public Policy and Civil Rights (New York: St. Martin’s Press, 2000), co-edited with William Turner and Urvashi Vaid; Making Trouble: Essays on Gay History, Politics, and the University (New York: Routledge, 1992); Intimate Matters: A History of Sexuality in America (New York: Harper and Row, 1988), co-authored with Estelle Freedman; The Civil Rights Struggle: Leaders in Profile (New York: Facts-on-File, Inc., 1979); and The Universities and the Gay Experience: of a Conference Sponsored by the Women and Men of the Gay Academic Union (New York, 1974). He was the 2005 recipient of the Brudner Prize at Yale University. His most important and widely cited book, Sexual Politics, Sexual Communities (University of Chicago Press, 1983), is considered a definitive history of the U.S. homophile movement from 1940 to 1970. For this book, D'Emilio was awarded the Stonewall Book Award in 1984.